Countries need collective stories to shape their identity. 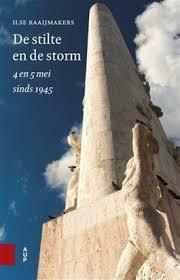 ‘De stilte en de storm’ tells about the history of the Dutch Remembrance Day (4th of May) and Liberation Day (5th of May). We take for granted how the fourth of May remembers war victims of all kinds, and that the fifth of May celebrates the freedom we have. This was not always the case, and it certainly didn’t start that way. Remembrance Day started as a private initiative, honouring fallen resistance fighters in a highly military ceremony. The government approved as valuing perseverance and national pride served a role in rebuilding the war-torn country, although it meddled behind the scenes to include fallen Allied soldiers to improve international relationships. It was the first balancing act in ‘how’ to remember ‘who’, either from influence from committees, the government or public pressure. In the fifties, Dutch soldiers from the Indonesian War of Independence and the Korean War were included. But the biggest change came through the sixties and seventies. Because of the Nuremberg trials and especially the trail of Adolf Eichmann, details of the horrible Holocaust surfaced. No longer did honouring soldiers and resistance fighters, who had ‘fallen for the good cause’, feel right — especially through a military ceremony. What good cause was there, if millions of Jews had fallen for no apparent reason? The focus from Remembrance Day shifted its focus, and instead of national pride defiance, it became about reflection and mourning and called upon’s everyones responsibility to never let this happen again. Throughout then and until now, Remembrance Day and Liberation Day have become less about the past, but rather a bridge between the present and the future. It is an inspiring message in itself that these memorials and celebrations have a huge national importance, but no intrinsic meaning themselves, and that it’s totally up to the current zeitgeist to find meaning in them.